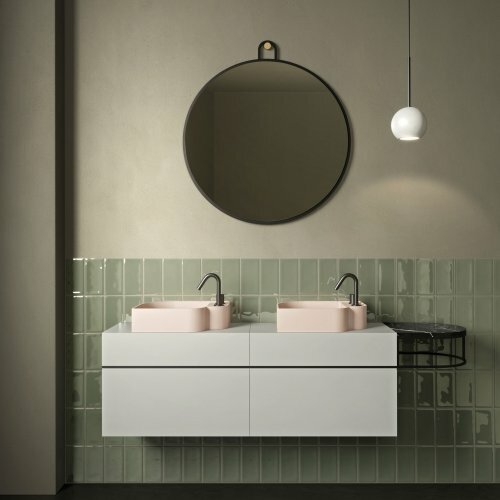 The Nouveau Vanity is a part of the Nouveau collection. 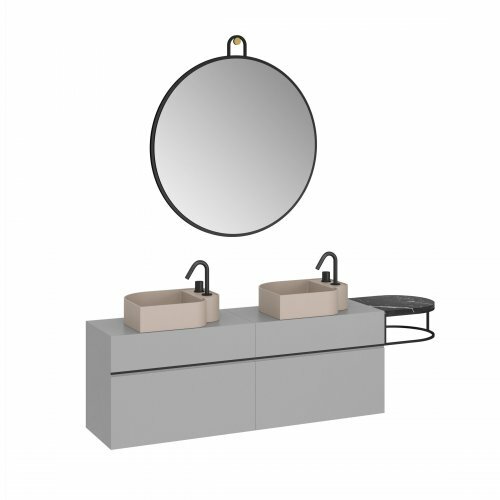 The collection offers washbasins, cabinets and mirrors featuring geometric and sinuous lines. It is born from a balance of basic and also classic shapes such as circles, semi-circles and parallelepipeds. As a result, it creates a game of volumes in a succession of full and empty spaces. Freely inspired by early twentieth century Art Deco, the collection takes refined suggestions from that era and reworks them with the taste and sensitivity of a contemporary perspective.